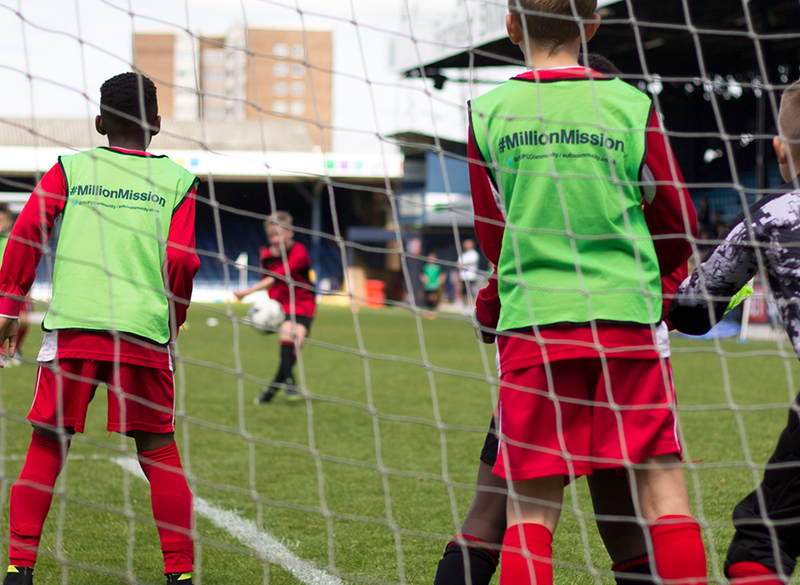 Southend United Community & Educational Trust promote diversity, tolerance and equality throughout the programmes to develop social capacity within the community. Our Community Cohesion programmes engage with young people aged 12 – 25, using football as a positive vehicle to bring people together regardless of backgrounds, abilities and interests. Programmes are targeted at under-represented groups such as people with a disability, BAME (Black, Asian and Minority Ethnic) and low-income families with the view to creating positive activity and meaningful progressions. Our Community Cohesion team signposts young people to exciting education, training and volunteering opportunities including the Princes Trust Team Programme and the National Citizen Service (NCS) Programme. We have an impressive progression and success rate, helping young people reach their ambitions. The Premier League Girls Programme is a project specifically designed to get more girls into football as well as staying active to create habits for life. Here at SUCET we use the brand of Southend United FC within the community to engage with girls aged 11+ through footballing activities and creating further opportunities to encourage sustained engagement. The project creates pathways into regular competitive football as well as coaching and refereeing. An inclusive programme which allows football to be accessible to everyone. Leading on from the PL Girls programme we have successfully created teams for under 10’s all the way through to Ladies and developed a full playing pathway for girls and women through our Community Sports Club. All teams are coached and managed by our own community coaching staff team. The Premier League Kicks programme is a national project delivered across the UK by professional football clubs. We use the hook of the football club to engage with young people 12-19 in deprived areas across Southend and Castle Point through the power of sport. The project has been set up to create a pathway for young people by reducing crime including anti-social behaviour and to make a positive impact in the community. Once engaged we to seek to encourage participation through incentives, workshops, qualifications and team building activities. Opportunities include volunteering and coaching pathways. Tom is a volunteer “I am loving volunteering for Southend United at the PL Kicks programme. This project keeps young people off the street and engaged in Football. I am also over the moon in gaining my Level 1 in Football qualification and starting on the coaching ladder”. Our aim at SUCET is to have pan disability football pathways that will enable young disabled people aged 11 to 19 living in South East Essex to play football and progress to the level they are able to achieve. 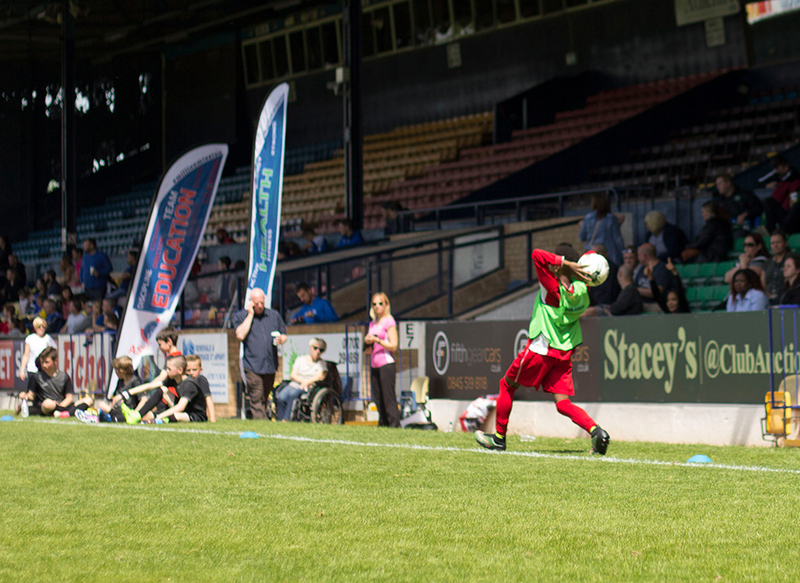 SUCET currently offers pan disabled young people a football pathway and plans to extend its programme further. Strong relationships have been developed with special schools where our coaching staff provide lunch time clubs and in school PE provision including football, multi-sports and teambuilding activities. Additionally, provided are after school clubs, holiday soccer schools, player visits, stadium tours, match tickets and event opportunities to young people living with pan disabilities and young people with learning and behavioral disabilities. When speaking about a young man with a severe learning disability his teacher said ‘I haven’t seen Chris this excited about PE lessons in a very long time. The difference we have seen in him has been brilliant; he has even started to be more engaged in his other lessons’.